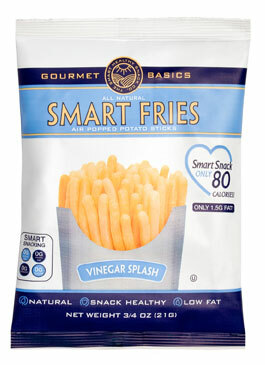 Gourmet Basics is the Smart Healthy Snack Food Company. 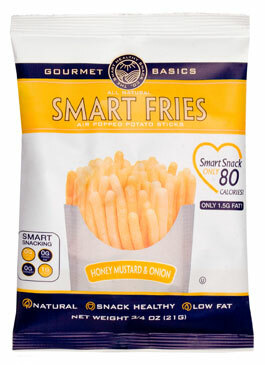 We produce naturally delicious healthy gourmet snack foods. 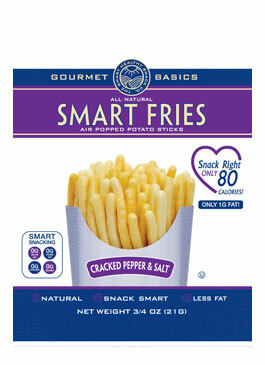 Our innovative snack products are "Better-For-You" than most other snacks out there. Our snacks are made with Low-Fat All-Natural ingredients of the highest quality. We are passionate snack enthusiasts, perpetually creating distinctive flavour rich snack products, using only superior ingredients. 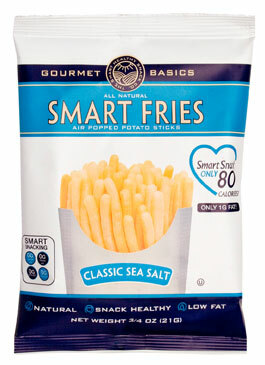 Smart Fries contain only 1.5 grams of fat per serving, and are 100% natural with no artificial additives, no MSG, and 0g trans fats. 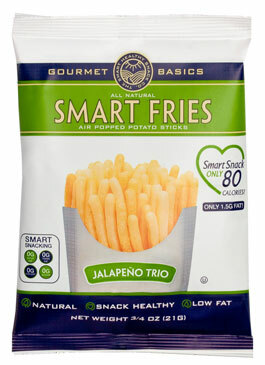 sure to satisfy your potato chip craving. 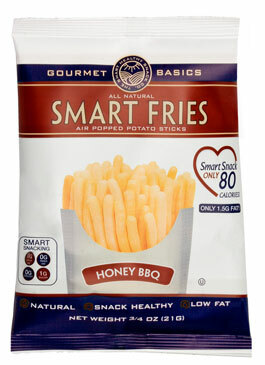 Air-Popped technology; thanks to innovation and age old experience we have developed an innovative processes for producing healthier snack food products while preserving that all natural wholesome home-made taste we all crave. 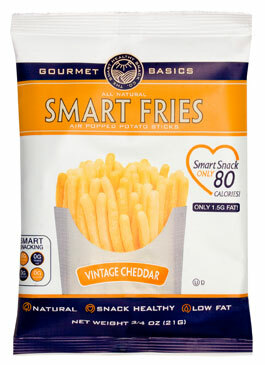 The innovative process we utilize yields light crunchy delicious low fat snacks. 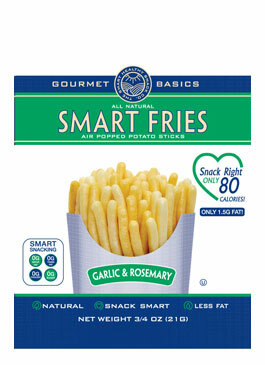 Gourmet Basics is committed to producing innovative healthy snack treats and creating unforgettable munchies and confections; currently Smart Fries is the only Air-Popped snack product we offer on the market. More are on the way.